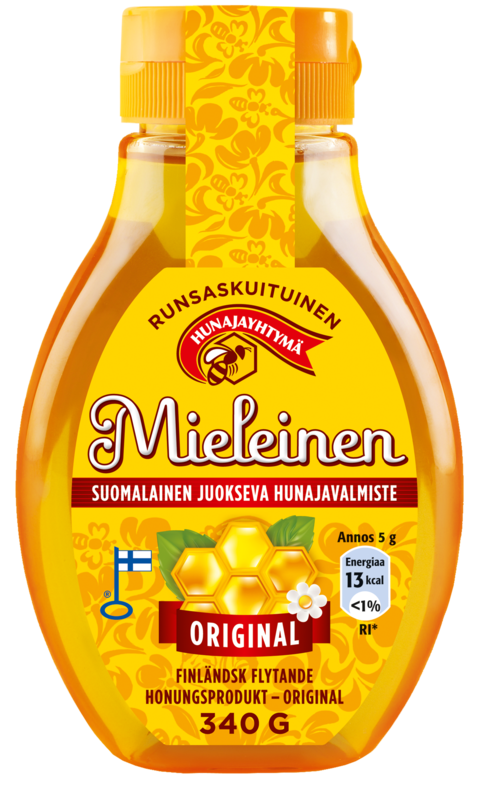 Mieleinen is a honey product that combines sweetness and fibres. Mieleinen contains all of the good flavour and health-promoting qualities of Finnish honey, but it also contains 34% fibre, which helps to promote healthy digestion and it has 48% less carbohydrates than honey. Due to its mild sweetness, Mieleinen is also a good choice for those who find regular honey too sweet. EXPORT PRODUCT. MIELEINEN HAS A UNIQUE QUALITY: IT ALWAYS REMAINS LIQUID!